to the home of the Shiloh Shepherds of New England (SSONE) Chapter of the Shiloh Shepherd Dog Club of America (SSDCA). We are a small chapter of the SSDCA, consisting of members living in all of New England. If you are interested in joining our chapter, please print a copy of our membership application and mail it to the address provided. We have a Yahoo Group set up for our chapter. We'd like to encourage all of our chapter members to join us there for the latest chapter news and events. Be sure to check out our new Events Calendar. 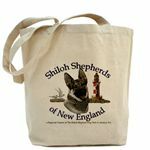 If you're interested in Shiloh Shepherds and live in New England please come join The SSDCA and the SSONE Chapter. For more information on Shiloh Shepherds, Shiloh Shepherd Dog Club of Amerca's website. By signing the membership application, you are agreeing to abide by the following club documents. This portion of the Rising Star Shilohs website has been donated to the SSDCA's SSONE Chapter. The info posted here is chapter information and is not related to Rising Star Shilohs.